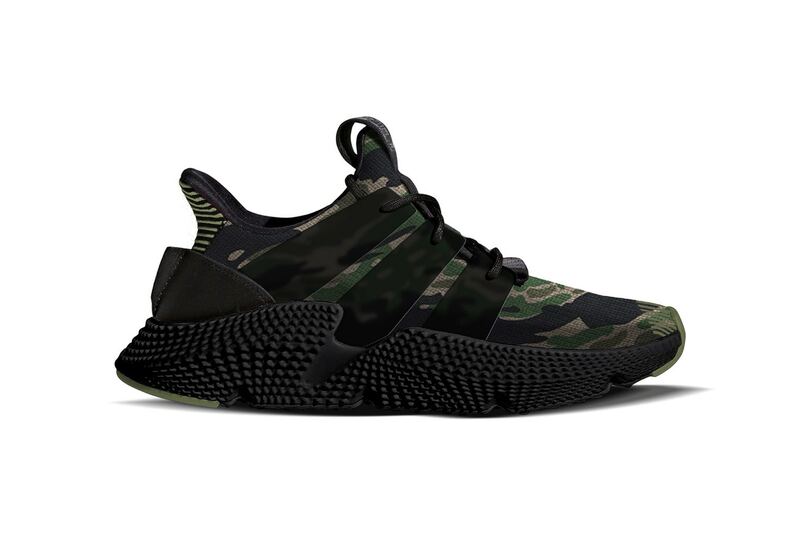 adidas Originals’ newly introduced Prophere model is already has a collaboration with UNDEFEATED to incorporate its signature camo print onto the sneaks knit-constructed upper. The exaggerated midsole is treated with black coloring to complement the previously mentioned camo that lies under its oversized stripes. adidas welcomes Olive and Black to the outsole as its heel does the same with a striped pattern.